Steve Garvey is a former first baseman for the Los Angeles Dodgers and San Diego Padres. During his career, he collected over 2,500 hits and set the NL record for consecutive games played (1,207). In 1981, Garvey helped lead the Dodgers to the World Series where they defeated the Yankees in six games. In 1984, he helped lead the Padres to their first-ever postseason appearance, but ultimately lost in the World Series against Tigers. The 10-time All-Star was a 2-time All-Star MVP, 2-time NLCS MVP and was named the 1974 NL MVP. 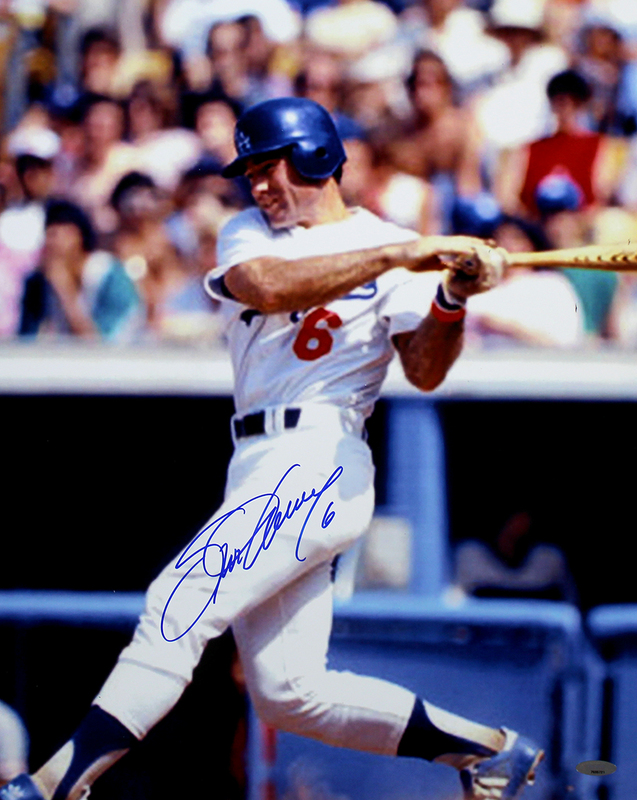 This Los Angeles Dodgers 16x20 photo has been hand signed by Steve Garvey. Each autograph is guaranteed authentic, and includes an individually numbered TRISTAR Authentic hologram.